A trio of beautiful and very rare late 18th century glazed Italian confit pots with large ear handles from the Bay of Naples. In excellent antique condition. Available separately, or as a collection. Originally used for preserving foods including anchovies, sardines & olives in brine or olive oil. 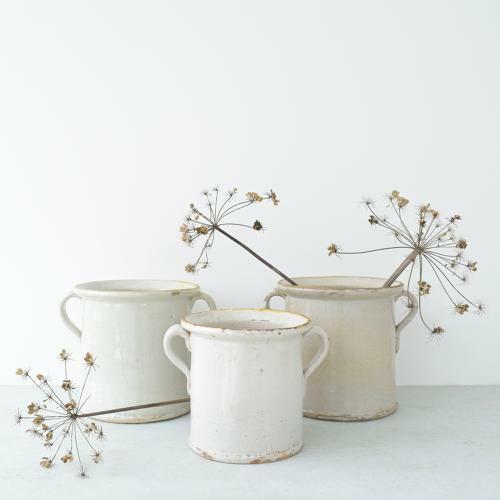 They make wonderful decorative pots that can be used as vases, planted with spring bulbs, herbs etc.